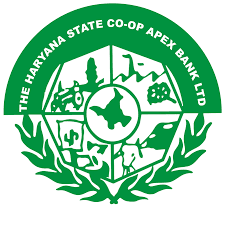 The Haryana State Cooperative Apex Bank Limited (HARCO), Chandigarh has published Advertisement for below mentioned Posts 2017. Other details like age limit, educational qualification, selection process, application fee and how to apply are given below. Educational Qualification: (1) He should at least be a Graduate with CAIIB/DBF/Diploma in Cooperative Business Management or equivalent qualification or Chartered /Cost Accountant or Post Graduate in any discipline. How to Apply: Eligible Persons apply in the prescribed application format. Application complete in all respect mentioning "Application for the post of Chief Executive Officer of Harco Bank" on the top of the envelope, along with Demand Draft (DD) of ₹ 100/- in favour of Managing Director, The Haryana State Cooperative Apex Bank Ltd; Chandigarh should reach the undersigned on or before 03-10-2017 up to 3.00 P.M.